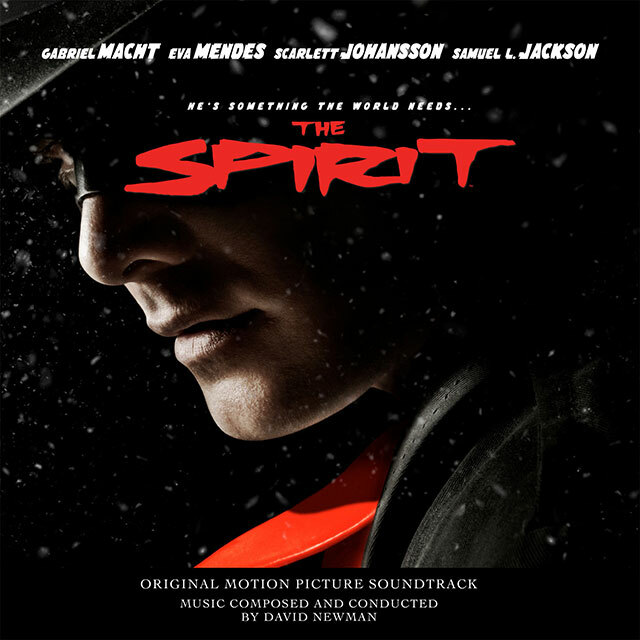 The Spirit – David Newman. Gabriel Macht leads an all-star cast as the former rookie cop who returns mysteriously from the dead as ‘The Spirit’ to fight crime in Central City. Co-stars include Samuel L. Jackson, Scarlet Johansson and Eva Mendes. Composer David Newman is the winner of 12 BMI Film Music Awards and an accomplished violinist as well as a hugely successful concert conductor. He is the brother of fellow film composer Thomas Newman and son of film music legend Alfred Newman. Well known for his talent for comedy, Newman’s musical output includes scores to The Flintstones (1994), The Nutty Professor (1996), and Bill & Ted’s Excellent Adventure (1989).